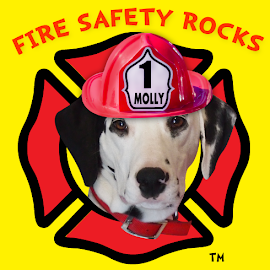 Keep Kids Fire Safe® Foundation is at the Vision 20/20 Models in Fire Prevention Symposium with some of the brightest minds in fire safety education. The Symposium features some of the most innovative fire prevention programs being used across the country and over 150 fire prevention experts are gathering to learn from each other and share their programs. The foundation's booth is staffed by Executive Director, Dayna Hilton, Board Chair, Glenn Trembley, Firefighter Frank and Development Director, Jeff Huddleston. 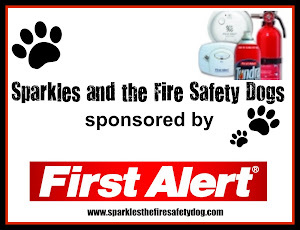 The four helped share the work of the foundation and two of its most popular fire safety programs: Sparkles' Safety Spot and Sparkles' Fire Safety Skype Tour. Board Chair Glenn Trembley, was a huge help to the foundation, helping share the foundation's fire safety programs with those in attendance at Vision 20/20. Part of the booth display at the Keep Kids Fire Safe Foundation booth at Vision 20/20. Executive Director Dayna Hilton and Firefighter Frank. Firefighter Frank had so much fun visiting with everyone and sharing fire safety tips! Firefighter Frank loved visiting with everyone at Vision 20/20 and sharing the work of the Keep Kids Fire Safe Foundation. 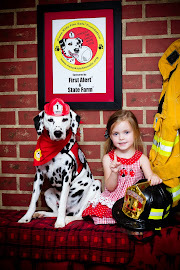 Here his is with his new friend, Marsha Giesler from the Downer's Grove Fire Department in Illinois! 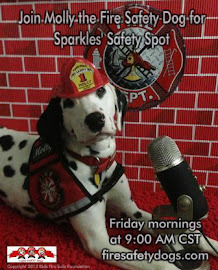 Sparkles' Safety Spot is sponsored by First Alert and Sparkles Fire Safety Skype Tour is sponsored by First Alert and State Farm.